The University of New South Wales (UNSW) Drama Foundation had initiated the 1966 Season of plays at Jane Street, and continued to have a role funding commissioned plays, but increasingly the production of the Season fell to the NIDA Administration. Most Jane Street directors were working at NIDA in some capacity, although others were contracted for the purposes of the Season. The roll call of directors includes some of Australia’s best known practitioners: Rex Cramphorn, Alexander Hay, John Clark, Aubrey Mellor, George Whaley, Robin Lovejoy, John Bell, John Tasker, Richard Cottrell, Richard Wherrett, Jim Sharman and John Milson. Jane Street was able to develop as an experimental theatre venue, not just showcasing new plays, but also new forms of production. While it was expected Randolph Stow would submit a new commissioned work for the follow up 1967 Season, the play was never written and there was no Season that year. Instead, early in 1968, Jim Sharman facilitated the first of what might be called the experimental theatre works: Terror Australis,a devised play between Sharman, the actors, and contributing writers associated with the satirical Oz Magazine. The 1970 Season also saw two quite distinctive productions: the highly influential The Legend of King O’Malley, directed by the new tutor in Acting, John Bell, and a much more underrated critical success, 10,000 Miles Away, directed by NIDA graduate and actor Rex Cramphorn. While performed by the same company of actors, these two directors explored quite different concepts of theatrical development and performance: on the one hand Australian larrikin theatre, and on the other, experimental Grotowskian techniques with an emphasis on process rather than performance. Whether the following Seasons lived up to that claim or not, certainly the work of the Performance Syndicate, and that of William Yang (then Willy Young) in later Seasons challenged traditional roles and conventions. In 1975, the two productions, Mariner and Interplay were described as deliberately presenting alternative approaches to new work, for both the director and composer. Having graduated from the NIDA Production course in 1965, Jim Sharman was employed by NIDA as a Resident Producer, working at the Old Tote Theatre, NIDA and on affiliated activities. Robert Quentin determined to continue in some way the Jane Street initiative, invited Sharman to present a new work in early 1968. Terror Australis was a devised work developed during the rehearsal process between Sharman, the actors – Helen Morse, Garry McDonald, Jennifer West and Peter Rowley – and three of the Oz Magazine writers with whom Sharman had previously worked during the production of the satirical review Oz on Stage (Dean Letcher, Richard Raper and Richard Walsh). Sharman recounts in his book Blood & Tinsel, the play was ‘a spirited attack on many Australian sacred cows’, with audience members crawling through a sheep-run to enter the theatre. Criticism from the Sydney Morning Herald reviewer Harry Kippax, led Patrick White to write a letter praising the show – an event remembered fondly by Sharman, whose later friendship with White saw him direct White’s plays to great acclaim. This seminal piece of Australian New Wave theatre was submitted for the 1970 Captain Cook Bi-Centenary Celebrations literary competition where it won the $3000 first prize in the play section. Directed by the newly appointed NIDA Acting tutor, John Bell, the play transferred from Jane Street to the Old Tote Theatre and then toured nationally and to the South Pacific and New Zealand. With its musical numbers and vaudeville style complete with foyer sideshows, O’Malley had energy, humour and youth. Cramphorn writes about the experience in his tour diary (Bulletin, 27 February 1971), noting the exigencies of company size, limited budget and small theatre, counter balanced by the shared enthusiasm of the cast, ensured the success of the initial production. Certainly, O’Malley was heralded as bringing the New Wave to Sydney and was instrumental in the founding of the Nimrod Theatre Company in December 1970. 10,000 Miles Away had started as a performance piece by David Malouf, written for the Cook Bicentenary in 1970. Reprising it at Jane Street, the newly formed Performance Syndicate turned the play into a form of ‘audio-visual theatre’, with white-clad actors, acrobatics, ritual movement and words as music. The basic premise was a ‘free form look at what makes man the explorer’. The 1970 company comprised NIDA graduates Rex Cramphorn and the Performance Syndicate actors including Nick Lathouris, Gillian Jones, Terry O’Brien, David Cameron, along with Robyn Nevin, Kate Fitzpatrick and Willy Young, who had been invited to Jane Street by John Clark. The Syndicate had formed prior to joining Jane Street, and continued as a fluid group over the next few years, both at Jane Street, and in other cities. Cramphorn sought a space for continuous work in one theatre, to train regularly as a company but subsidisation was a major impediment, and the Syndicate had disbanded by 1974. At Jane Street a number of productions involving Syndicate members were produced along a collective creative model where rehearsal was intrinsic to the development of the performance. The performance was developed over a two week rehearsal period and was an intense period of exercises, improvisations, and personal and collaborative exploration, closely following Growtowski’s ideals. Spinks argues it truly broke new frontiers in Australian theatre. Although its influence is now overlooked, at the time it was enthusiastically reviewed and the Performance Syndicate actors drew impetus from the cohesion it brought. Credited as co-author with Malouf’s agreement, Willy Young, now well known as the photographer and performance artist, William Yang, arrived in Sydney in 1969 having completed a Bachelor of Architecture at the University of Queensland. Yang went on to develop and act in a number of other Jane Street productions including Childhead’s Dollin 1973, and Interplay in 1975. The latter, a play within a play, is documented by a set of 24 photographs captioned by Yang, showing the progression from concept to performance. 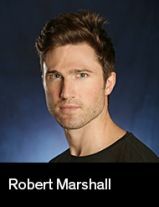 Rob is a Tasmanian actor, educator and adventurer. He holds a Bachelor of Arts degree from the University of Melbourne and is a graduate of the Atlantic Acting Schoolʼs Professional Conservatory in New York City.